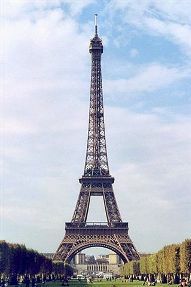 Paris travel agents can find you the best deals on Paris hotels and flights to France. Traveling to Europe isn't cheap, nor is the city of Paris; but if you plan your trip early enough and know where to look, you can find many affordable options, including discount flights to France, luxury hotel suites and other Paris accommodations at reasonable prices, and excellent group rates. Nowadays, there are two primary recommended ways to plan a trip to France: The Internet's travel sites and Paris travel agents. When you're online, simply select the location in France where you intend to stay, your dates of travel, and your price range. Within seconds, the computer will display a wide range of options, including a list of suitable Paris accommodations and a list of airlines, flights, and rates. There may also be travel packages available, which typically flight, hotel, car rental, a tour guide, and discount coupons for some of Paris' main attractions. Another benefit of doing travel research online is that you get to compare multiple options side by side. And with the number of global travelers increasing each year, all sectors of the travel industry are forced to offer competitive rates to secure your business. Paris travel agents are also an excellent resource for getting the latest scoop on last-minute flights and discount flights offered by certain airlines. The airline companies often 'hook up' with a certain travel agency and use their agents as marketing tools as they compete for customers. Keep in mind that discount and bumper flights are usually short-term offers that do not come with a cancellation policy, so be absolutely sure about your travel plans before you book a flight. And don't forget to use your frequent flyer miles if you have any! 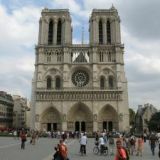 In addition to reserving your Paris lodgings and airline tickets, Paris travel agents will help you put together the rest of your trip, including a daily itinerary so that you don't miss one moment of what Paris has to offer. Travel agents are 'in the know' about admission prices to all the major tourist attractions and how to get there. They can recommend great French restaurants and bistros, tell you where the main shopping districts are, and inform you of the best times of day to visit each site in order to beat the crowds. 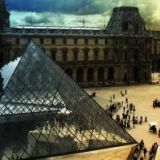 For instance, they will likely advise you to purchase a Paris Museum Pass, which grants you admission to over 70 museums and monuments located throughout the city. As experts in all that the City of Lights and Romance has to offer, Paris travel agents will steer you in the right direction and help you plan a trip that you'll remember for a long time to come!